The ghost of Maharashtra's irrigation scam is back to haunt the Nationalist Congress Party (NCP). 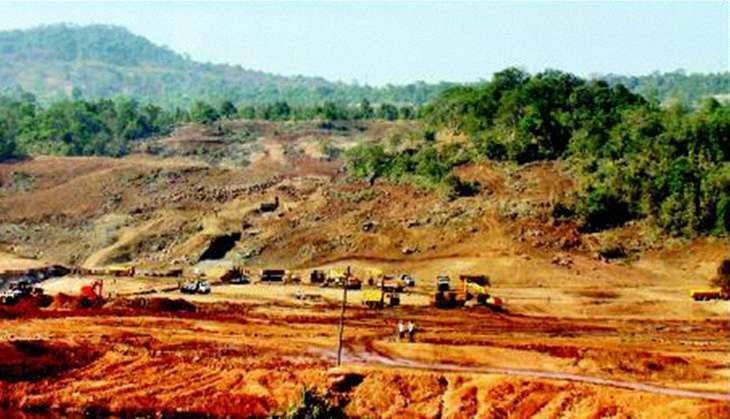 The Anti-Corruption Bureau (ACB) has filed the second chargesheet in the multi-crore scam pertaining to the Kondane Dam near Karjat in Raigad district. With the chargesheet, senior NCP leader Sunil Tatkare has come directly in the line of fire. The chargesheet filed at Kopri Police station in Thane has named six former officials of the irrigation department and one contractor. The irrigation scam had shocked the state when the then-Chief Minister, Prithviraj Chavan of the Congress, during a public programme, claimed that there was hardly any increase in the irrigation potential of the state, despite an expenditure of several thousand crore rupees. The statement was a big blow for the NCP as it had held the irrigation department for 15 years. Bharatiya Janata Party leader Kirit Somaiya and then-MLA Devendra Fadnavis had jointly lodged several complaints with the Maharashtra ACB about the irrigation scam while in Opposition. Somaiya even filed a petition in the Bombay High Court, seeking an inquiry into the matter. Former Aam Admi Party (AAP) leaders Mayank Gandhi and Anjali Damania also filed a Public Interest Litigation in the High Court in 2012. It was in 2014 that the High Court ordered an inquiry into the matter under its supervision. Things started to move after the order. Then, during the campaign for the 2014 Assembly elections, the BJP placed tremendous emphasis on the corruption charges against the previous government, and assured people that it would bring all the culprits to justice. And sure enough, soon after coming to power, the BJP-led government expedited the inquiry into the irrigation scam. Soon, ACB sleuths filed two chargesheets. The ACB had formed a Special Investigation Team (SIT) to probe the allegations. "The administrative approval for construction of the Kondane Dam was given on 19 May 2011. However, it was decided to keep the project on the shelf for logistical reasons. Despite the project being on the shelf, the Konkan Irrigation Development Corportion, Thane, invited tenders for it. One FA Enterprises responded to the tender and bagged the contract. "Investigations revealed that other entities that participated in the bidding process were actually owned by Nisar Khatri, owner of FA Enterprises," said Vivek Joshi, Deputy Superintendent of Police, ACB, Raigad. The other firm that participated in the bidding process was FA Constructions. "Both the companies had the same directors and were projected as different entities. The officials at KIDC, in connivance with Nisar Khatri, allotted the contract to FA Enterprises by circumventing the rules," Joshi said. Moreover, the cost of the project was escalated without due approvals from the government, and the additional contract was illegally awarded to FA Enterprises, Joshi added. Following the investigations, an FIR was registered against then-Executive Director DP Shirke, Chief Engineer BB Patil, Superintending Enginer RD Shinde, Chief Engineer PB Sonawane, Executive Engineer AP Kalukhe, Executive Engineer RC Rithe, and Nisar Fatehmohammad Khatri, partner FA Enterprises, for committing an offence of criminal conspiracy and criminal misconduct in the illegal award of the tender to benefit the contractor. "It is now established that the tender process for the project was rigged, and the same was awarded without obtaining environmental clearances and other due permissions from the state and Central governments. The contractor, Nisar Khatri, himself filled the tenders of Kondane Dam from his Khar office for all three contractors - FA Constructions, FA Enterprises and AB Naggi Reddy, who was actually a third contractor based in Hyderabad. This shows that there was a cartel," Joshi said. The startling revelations during the investigations have cornered the NCP, forcing it to go on the defensive. But with the FIR being registered in the matter, the difficulties have increased manifold for senior NCP leader Tatkare. The entire process was completed when he was held the irrigation portfolio in the state government. "The Kondane Dam Project was approved despite the orders of the Governor of Maharashtra to keep all new projects which catered to 250 hectares and above on the shelf till the ongoing ones were completed. The directives were issued in 2011. The Kondane Dam project was initially a Medium Irrigation Project, which was scaled down to 240 hectare to sanction it. The height and scope of the dam was dramatically increased within a month of approval," Joshi said. The project cost went up to Rs 614 crore from Rs 56 crore in just one year. "This could not have been done without the consent of the irrigation minister, Sunil Tatkare. His role will be investigated in the entire process," said a senior ACB official, who did not wish to be named. Are the BJP and the NCP playing a fixed match in Maharashtra? Irrigation scam: Fadnavis govt going soft on Ajit Pawar. What's the play? ED arrests Chhagan Bhujbal: first NCP bigshot to go to jail. Who's next?